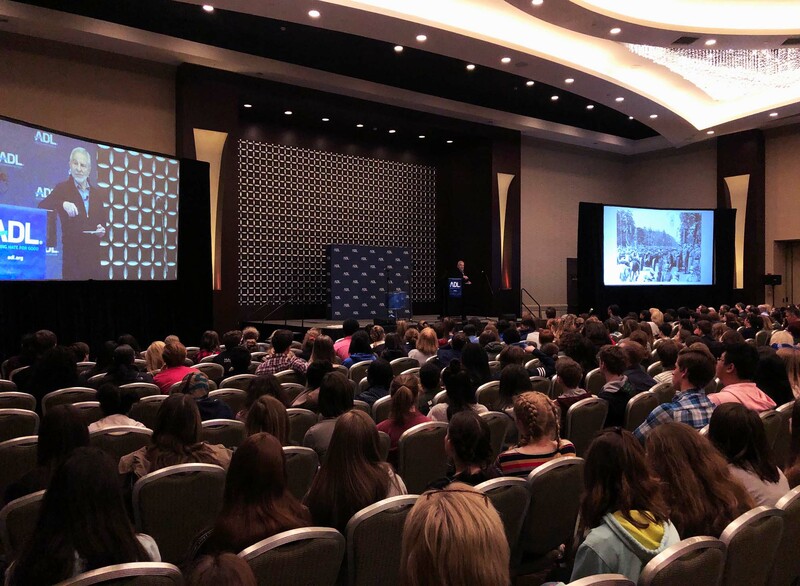 Anti-Defamation League (ADL) New England Youth Congress is an annual event designed to stimulate, educate and inspire attending students to speak up and speak out when they encounter ethnic, racial, religious, and cultural prejudice. 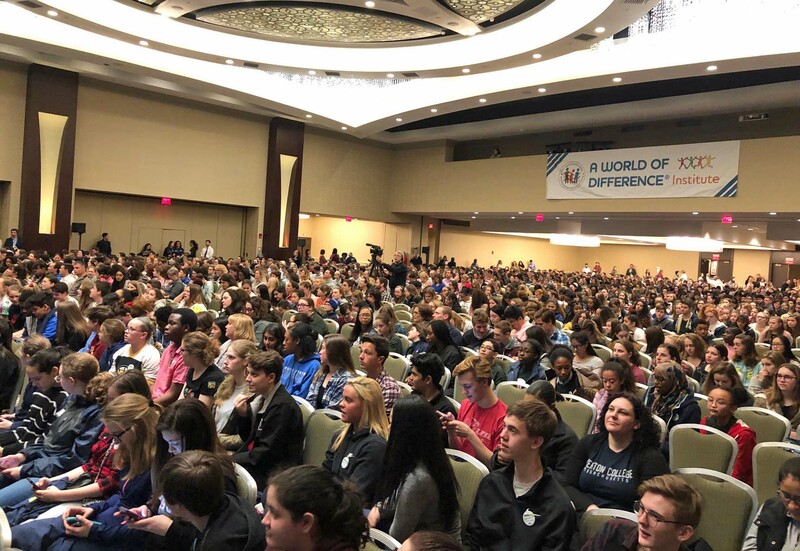 The event is co-named A WORLD OF DIFFERENCE Institute. 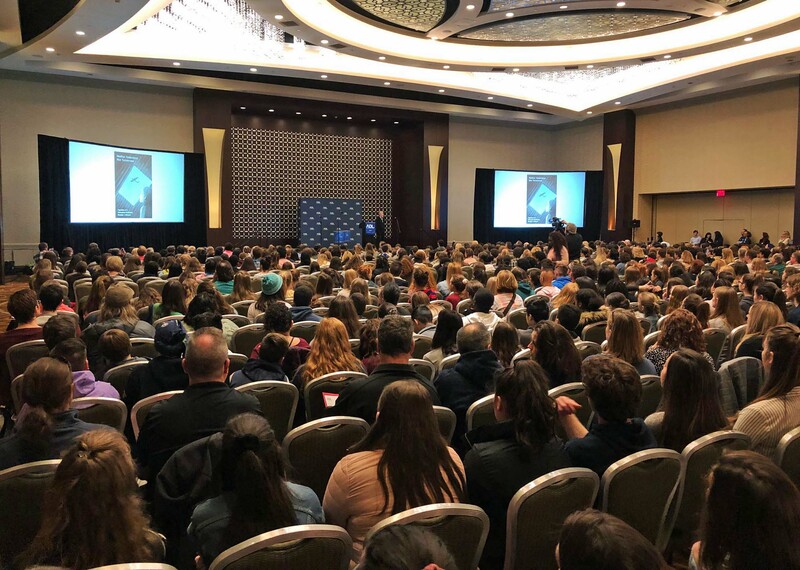 2019 was the ADL New England 25th anniversary of its first Annual Youth Congress, and this year it was attended by 1500 students from 82 middle and high schools throughout Massachusetts, Vermont, New Hampshire and Connecticut. 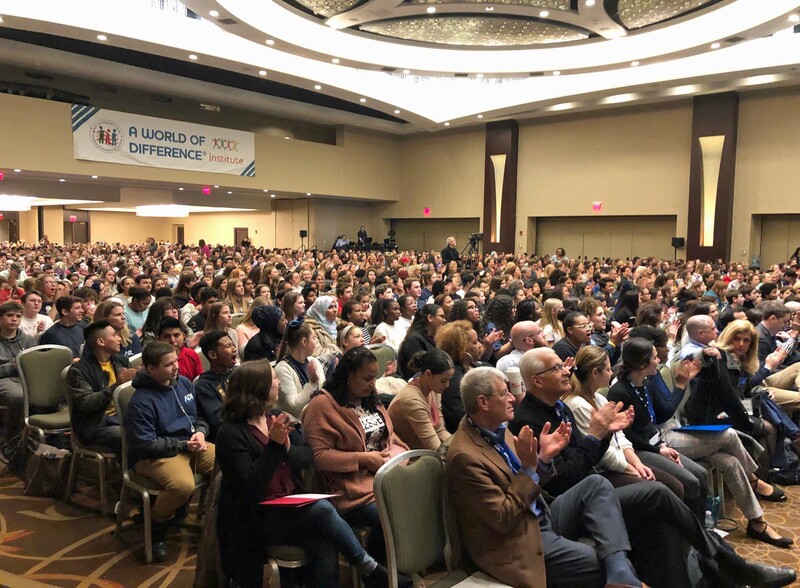 For its young audience the event itself was preceded by Grooversity Brazilian drum band, and it was opened by Deb Shalom and Robert Trestan, ADL New England Regional Board Chair and Regional Director respectively. They were followed by Birukti Tsige, a student activist, then Josh Zakim, Boston City Councilor, and then my keynote presentation. Final presenters at the podium were Phil Fogelman, Danika Manso-Brown and Karen Schwartz, ADL New England Education Director and Associate Directors. For the following 2 hours the students attended breakout workshops in assigned groups (see photos below) to discuss the nature and impact of prejudice and steps that we can take to counter it. Lunch, raffle drawing and closing remarks concluded the event. My participation in the event was arranged by Judi Bohn and Jeff Smith of Facing History and Ourselves, who attended it. Malden High School is a public high school founded in 1857, and its current enrollment of 1870 might be the most diverse in Massachusetts, with the native languages spoken by its students numbering 18. Racial diversity goes with the language diversity, and the student body is 28% white, 24% Asian, 22% Hispanic, 21% black, and 3% of two or more races. Such high diversity, plus 61% of students being from economically disadvantages families, results in a large educational burden on the school’s administration and its 114 full-time teachers. Though 95% of the teachers have 3 or more years of experience (significantly higher than the 86% state average) only partly ameliorates this burden – it surely results in a higher workload and pressure. My talk to Malden’s approximately 400 10th graders was organized by teachers Kerry Veritas and Sean Walsh. The preparation of most of these students consisted of visiting the International Museum of WWII where they learned about propaganda, anti-Semitism, life in the concentration camps, and conditions in Europe during WWII. 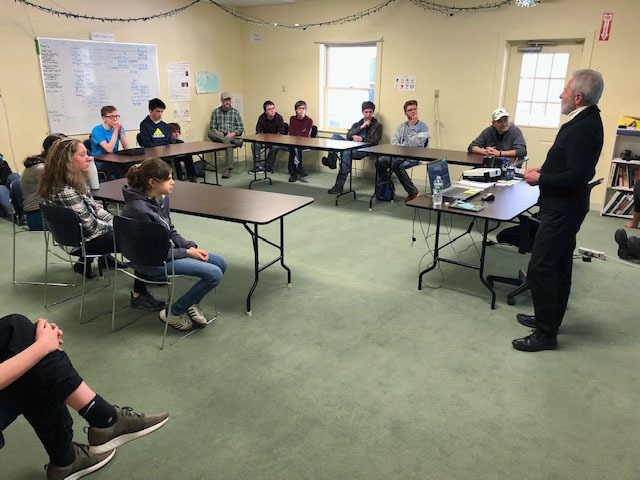 Human level connection was arranged when students visited the museum’s Holocaust room by the participation of a Holocaust survivor. In addition to Kerry Veritas, attending the talk were teachers Greg Hurley, Pat Finnegan, Mike Lightbody, Ellsworth Fersch, Nierika Nims and Melissa Macey. Arrangements for my talk were made by Judi Bohn and Jeff Smith of Facing History and Ourselves . #02 ???? 1st names, left-to-right, pls? The Tremont School is a small private school located in Lexington, though its students come from Boston and the surrounding towns. The school’s basic hypothesis is that the most stimulating educational environment is created by a deep and real partnership between students, teachers, parents, and administrators, and it firmly believes that learning is an ongoing exchange among all members of the school community, and that each student brings to that community strengths and interests that should be nurtured and shared for the benefit of all. Students thus learn in an environment that supports their making connections between thinking and doing. Teaching is therefore in a project-based curriculum which provides opportunities to develop hands-on projects that tug at the very core of an issue and develop in students the opportunity to question, analyze, and draw conclusions based on their own framework of understanding. Since the student population has a variety of learning styles, the mission of the school is to serve this variety. Many of the kids are “out of the box” thinkers or are kids who benefit from a small and personalized learning community. Students in grades 9-12 attending my talk have read Friedrich, Night, and The Sunflower, and have background knowledge about the Nazi’s rise to power, the human costs of WWII and the Holocaust, Oskar Schindler, and the Nuremberg Trials. 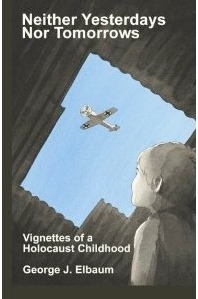 They have also visited US Holocaust Memorial Museum in DC. 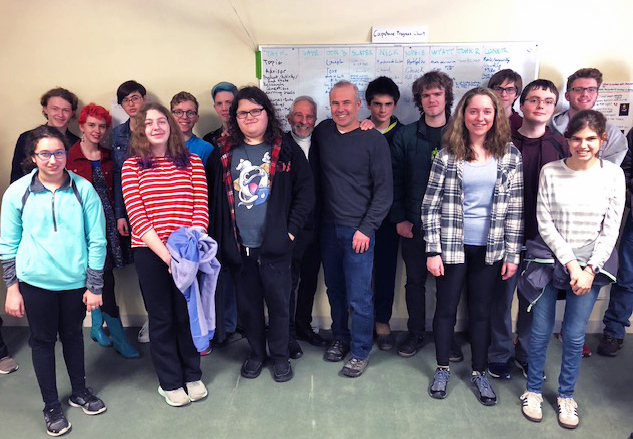 This was my second presentation at Tremont (the previous was in April 2015) and was again organized by teacher Tore Kapstad, whom I met in 2012 when he organized my talk in another school. Also attending it were headmaster Ben Niles and teachers Jorge Yacubowicz, Chuck Chanay, and Mike MacGillivary. Arrangements for the presentation were made by Judi Bohn of Facing History and Ourselves. The Cambridge Rindge and Latin School (also known as CRLS) is a public high school with enrollment of 1950 students of high diversity (39% White, 32% Black, 13% Hispanic, 11% Asian, 4% two or more races). The school’s current form was established in 1977 when two separate schools, the Rindge Technical School and Cambridge High and Latin School, were merged to form the Cambridge Rindge and Latin School, but its roots and interesting history date back to 1648! CRLS is currently divided into 4 ‘Learning Communities’ which are called C, R, L, and S (poetic creativity 🙂 and are designed to promote high levels of learning and achievement for all students. Each Learning Community has from 400 to 450 students, and each student is assigned to a guidance counselor for all four years. My presentation to approximately 120 9th grade students enrolled in World History and English Language Arts (ELA) was held in the auditorium of the nearby Cambridge Public Library. The students have been studying WWII and the Holocaust in their World History classes and read stories of resilience and resistance in their ELA classes. Many students have seen the film Schindler’s List and use materials, readings, videos, etc. from Facing History and Ourselves. The presentation was organized by World History teacher Caroline Berz and arranged by Judi Bohn of Facing History and Ourselves.